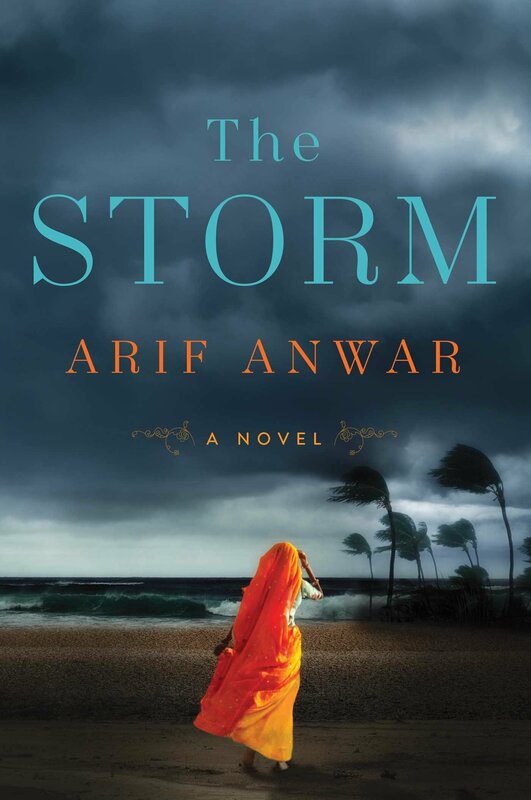 Inspired by the monstrous cyclone that struck East Pakistan in 1970, Anwar’s debut – a saga of Asia, World War II, Indian Partition and its aftermath – blows a gust of ocean freshness through the predictable ranks of historical epics. Both for its lyrical prose and its intricate structure, the novel offers engagement and intrigue. There’s range here, originality, and a pleasing avoidance of melodramatic predictability. The story strands are multiple, each packed with character and event. They include the experiences of a Japanese soldier, Ichiro, during the Second World War, first in Burma, later as a prisoner of war in India; the fortunes of rich businessman Rahim Choudhury, whose choices when India divides into Hindu and Muslim nations, set various relationships on different trajectories; and Shahyar, a Pakistani in the twenty-first century, struggling to remain in the United States and to be a father to his mixed-race daughter Anna. Shah’s story and lineage are the novel’s common thread. His resonant comtemporary problems provide continuity while the author moves back and forth amongst the earlier eras and locations, disclosing the connecting factors between his large cast in controlled, sometimes surprising overlaps. The result is non-linear but always clear. While this is a story of generations, of fathers and their offspring, and of relationships – some unsuccessful – between sympathetic parties, there’s a streak of spirituality and mystery to the tale too. One of the most memorable of its set pieces spans the two-day furlough taken by Ichiro (a Christian) and a Buddhist friend/fellow soldier who travel into the Burmese hinterland, to find a valley of temples. There, they spend an enlightening night with a monk of European heritage, who also appears in another crucial, separate chapter of the story. The monk’s simple yet profound lesson, and the symbol he sketches on the ground as the three men part, will shape both of the Japanese men’s futures, and the fortunes of others too. Anwar works hard to avoid cliché, and often succeeds, yet there are inevitable instances of weakness, notably among the British characters – an unpleasant senior officer, a fallible and implausible army wife. Secondary figures are given motivations, if not always a third dimension. However, intelligence and empathy mark this first foray into fiction by Bangladeshi-born, Toronto-based Anwar. His novel is strikingly ambitious, but also persuasive and immersive. He’s one to watch.